Washington Apple Jell-O Shot: CranApple Juice, Sour Apple Gelatin, and Crown Royal Apple Whiskey make up these yummy Jell-O shots that are adapted from my most popular drink recipe. 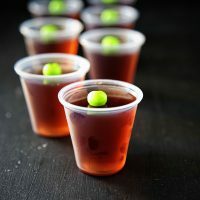 This week’s Tipsy Tuesday Jell-O shot is based off of one of my most popular recipes on the blog. Not just drink recipes…all recipes. Number 4th searched recipe on here of all time. Which if funny to me but whatever. I love the smell of whiskey and bourbon but I usually don’t like to drink it. So when I was invited years ago to an event and they only had two signature drinks (and I had a DD so I wanted to take advantage) I gave each drink a try. They Washington Apple had whiskey in it and I thought for sure I was not going to be liking it. You can get the recipe for the drink HERE. I did change a few things to the Jell-O shot. Instead of using Apple Pucker since the gelatin is already a sour apple flavor I decide to skip it. 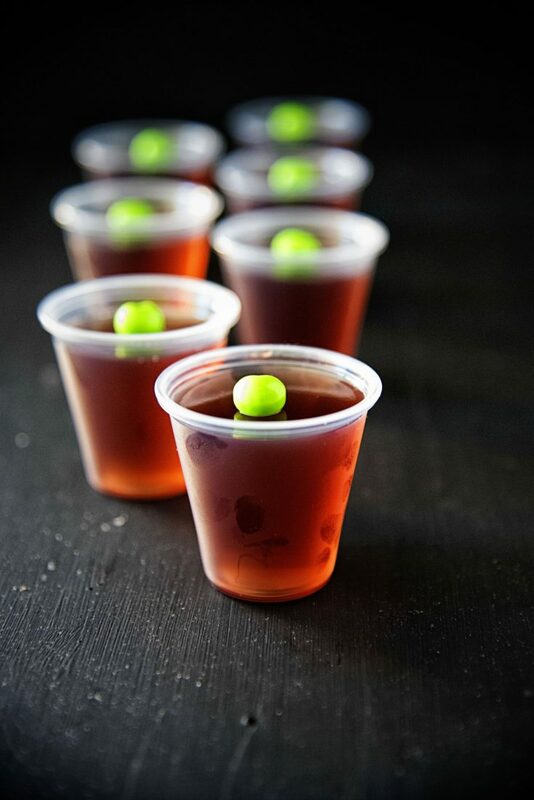 You can add it to your Jell-O shot just use less whiskey. Definitely try and get the Crown Royal Apple Whiskey. I really to think it makes a difference. 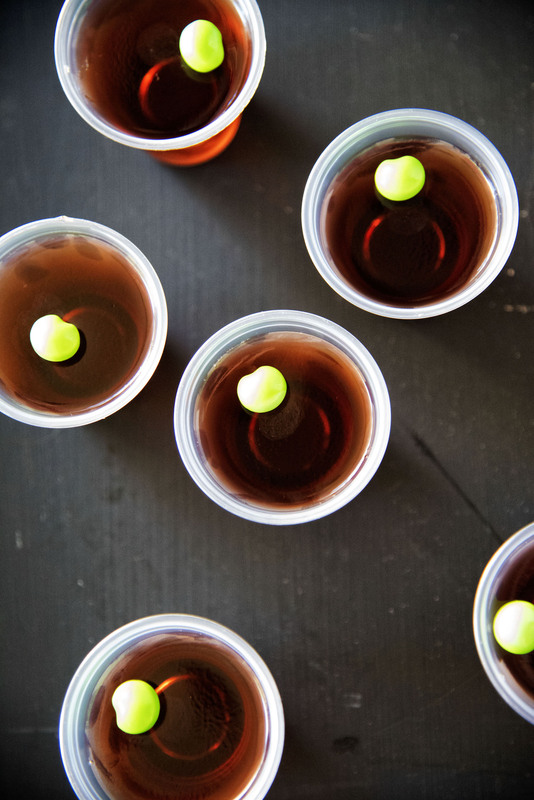 If there is another apple whiskey you like better go for it. You can usually find the gelatin at Winco but I buy mine in bulk online. I highly suggest getting all four of their flavors as they are awesome for Jell-O shot making. 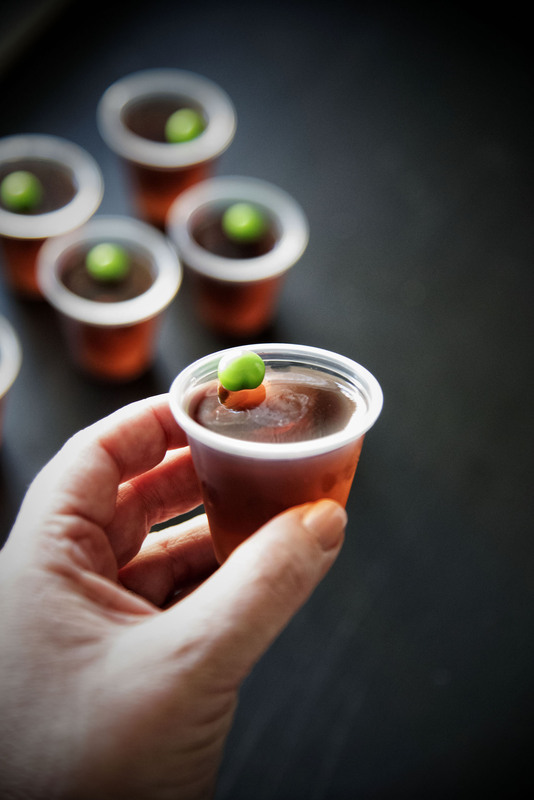 Want more Jell-O shot recipes? Bring 2 cups CranApple juice to a boil. Empty gelatin powder into a large mixing bowl and add the boiling juice. Add in the cup of cold CranApple Juice and Crown Royal Apple Whiskey. Top with a small piece of green apple Runts candy if desired. These were super amazing, probably our favorite so far, although hard to say because we love your Jell-O shots! Thanks for the great recipes!